Bit risky using one from the same session as my sig style shot, but others before me have done it, so what the heck. pretty sure this one won't do anywhere near as well as the sig style, but I don't have so many options for January. Let's see how it is received. Hmmm... Will definitely deter someone from "stealing" this for their own use, but gotta say the watermark really (for me) detracts on this and your others from this. Watermarks are not something that work well with minimalist photography. this is my favorite of the challenge. very nice. I love this so much! It is breathtaking! This was one of my faves of the challenge - congrats on the great score! Beautiful.In my top twenty of the challenge. 9. Beautiful shot. I love all the whiteness and the vertical lines. I've seen these trees on the front page not so long ago :). Who knows, maybe I'll see them again! excellent composition, great white on white, you have my highest score in the challenge. Nicely done!! 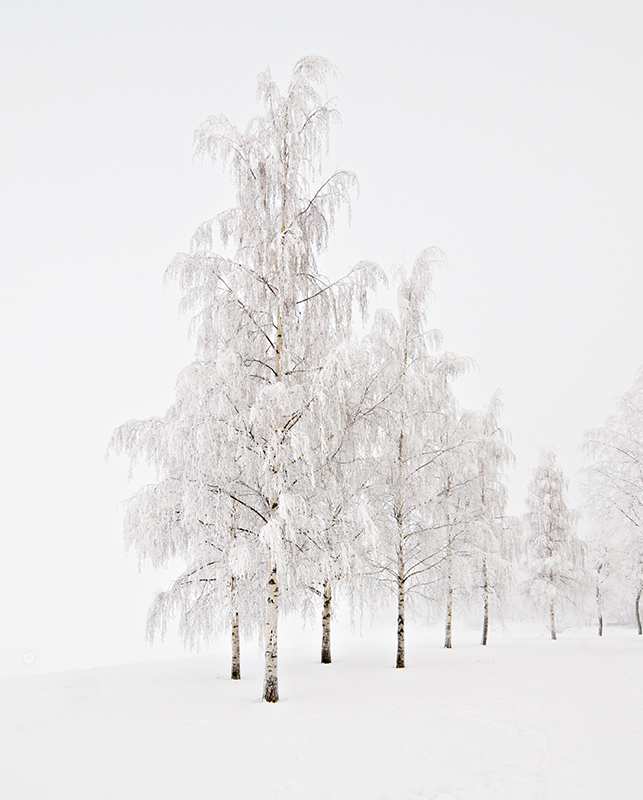 I like the wintry tones and gradations of whiteness. Ok, I do want to clone or crop out that twisty trunk on the right; the perfectionist in me finds it distracts from those gorgeous trees in the foreground. Looks familiar. Simply gorgeous still. Proudly hosted by Sargasso Networks. Current Server Time: 04/18/2019 08:18:12 AM EDT.